If you have ever lived through a summer without air conditioning, you will know how difficult it can be. More than likely you will be saving all of your money up over winter time to splurge when the weather starts to warm up. Life is much easier when you have a fully functioning air conditioning unit! With so many different varieties available it can be hard to know what would suit your needs best. 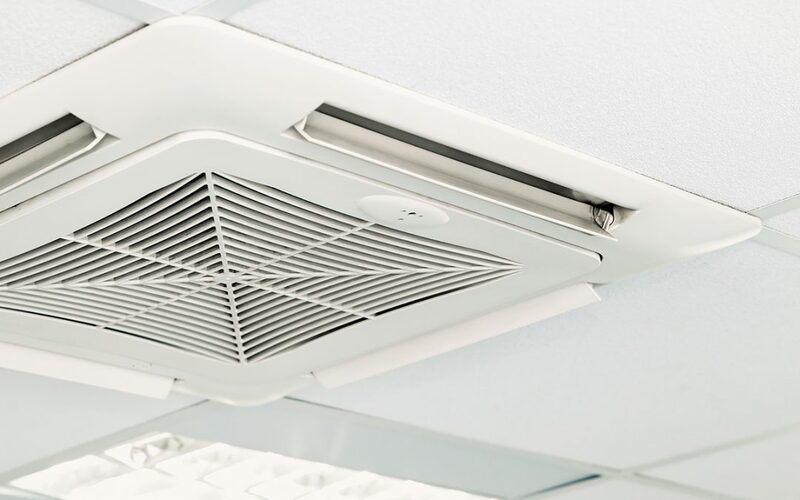 Split systems and ducted air conditioning systems are the most popular but which will work best for you? We give you all the information you need to make the right decision and spend your hard earned money wisely. As the name suggests, ducted air conditioning units work through ducts spread between the rooms in your house. An internal fan coil unit is installed in the roof which allows cool or warm air to spread evenly between the ducts in your home. Ducts can be added to as many or as little rooms as you like, the majority of homeowners will have ducts in every living room (excluding bathrooms and laundries). Ducted systems are controlled from one central location, through a thermostat on the wall. This allows you to control the overall temperature and to heat or cool individual rooms. You may have heard this referred to as zoning. This type of system allows you to easily cool down your whole house as needed. In many cases you will not even realise that the air conditioning is on, the temperature remains consistent across all rooms. What is a Split System Air Conditioning Unit? Unlike ducted air conditioning, split systems are separated up into two parts. The evaporative heat exchange is always on the inside of the house as this is what cools or heats up your room and the condensing heat exchange is installed on the outside of your house. Split system units are generally more popular as they are cheaper than ducted air conditioning systems. Split Systems are a great choice if you don’t quite have so much money to spend and are happy to only cool down a couple of rooms. Rooms that are generally chosen are the living room/kitchen area and main bedroom. Units are relatively small and blend in nicely with your walls. Unlike ducted systems you will be able to notice that the air conditioning is on as temperatures will vary when you walk between rooms. What are the pros and cons for each system? While both systems have their own pros and cons, the best thing to do is speak to a trainer technician. They will be able to assess your needs and make suggestions based on needs and budget. Also, choosing a reputable air conditioning brand will mean that your system will last longer with minimal issues over the years that you use it. At Apex Airconditioning we are always available to help you choose the right system for you. Our experienced technicians are happy to help provide quotes and give advice on the systems that we provide. If you would like to learn more about either system, contact us today!